Chemical peels offer a minimally invasive approach to improve your skin and reduce signs of aging and acne. 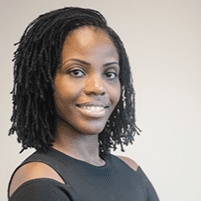 Dermatologist and cosmetic expert, Ife Rodney, MD, FAAD, performs a variety of chemical peels to meet all your skin needs at Eternal Dermatology in Glenn Dale, Maryland. Call or schedule a consultation today to learn about the best chemical peel options for you. Based on the condition of your skin and your aesthetic goals, we at Eternal Dermatology offer customized peels tailors to your specific needs and lifestyle. A chemical peel may be applied to your entire face or just to specific areas, such as the wrinkles around your mouth. The strength of the peel depends on a variety of factors, including the combination of ingredients, technique of application, and how long it remains on your skin. A chemical peel works by exfoliating the top layers of skin using specific chemical solutions. These dead cells are partially responsible for clogged enlarged pores and acne formation. Depending on the intensity of your peel, the amount of exfoliation may be very mild — sometimes called a lunchtime peel — or it may be moderate to extreme. Chemical peels also help to revitalize lackluster skin by stimulating natural collagen production, contributing to a smooth, even and healthy-looking complexion. You begin your visit with a consultation with Dr. Rodney to help her understand your skin concerns, goals, and the amount of downtime you can take. Based on this information, Dr. Rodney recommends the appropriate peel for you. When you’re ready for the peel, Dr. Rodney first cleans your skin to remove makeup and oils. She then applies layers of the liquid chemical solution to your skin using a cotton swab. Once the layers are applied, Dr. Rodney leaves the solution to soak into your skin. After the treatment is done, Dr. Rodney removes any remaining residue, and then applies sunscreen to the treated areas. You’ll need to protect your skin from sunlight to avoid irritation over the next week. Dr. Rodney provides thorough aftercare instructions so you have the best experience possible. The entire visit lasts about 45 minutes. What are the main types of chemical peels? Superficial peels use alpha or beta hydroxy acids, such as salicylic acid, glycolic acid and Jessner’s solution. These peels have minimal downtime, and are ideal for busy people who desire the least interruption to their routine. Our signature “Glow” peel, can be done every 2-4 weeks, results in a consistently bright and glowing complexion, and also reduced the appearance of fine lines and wrinkles over time. This treatment contains trichloroacetic acid, and may be combined with superficial peels for an added effect. Medium depth peels give significant improvement on photoaging and wrinkles. As they target deeper layers, the treated skin may appear slightly sunburned for a week or two, and the rejuvenating effects on the skin can be long lasting. Deep peels use ingredients like phenol and higher concentrations of trichloroacetic acid. These can be used for deeper wrinkles around the mouth and moderate to severe photoaging. These should only be performed by a board-certified dermatologist with extensive expertise in chemical peeling. After your chemical peel, your face may be red and irritated for a couple of days. Within two to four days, you should see your skin peeling and flaking. About seven days afterward, your skin should finish peeling to reveal a new layer of healthy, fresh, firm skin underneath. In the wrong hands, chemical peels can have unfortunate side effects, like painful burning, scarring and resulting dark discoloration, known as post-inflammatory hyperpigmentation. That’s why it is important that your dermatologist understands the nuances of chemical peels on a variety of skin types and ethnicities. Dr. Rodney will carefully tailor your treatment plan based on your skin type, desired result and desired downtime. Chemical peels are a minimally invasive option to solve many skin complaints. Dr. Rodney is an expert in chemical peels for all skin types, and is an active member of the International Peeling Society. Call or schedule a consultation online at Eternal Dermatology today to discuss your skin issues and learn how a chemical peel can help you.